When looking for an SUV that is as rugged as it is luxurious, the 2016 Jeep Grand Cherokee is the candidate to keep in mind. 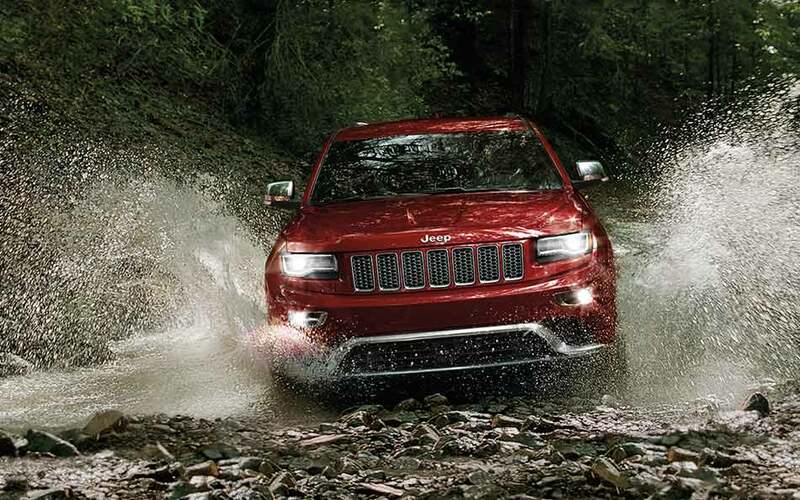 The 2016 model year Grand Cherokee has many available new technology features that make handling and driving the vehicle easier in various weather and terrain conditions, and the entertainment options are exceptional. The Jeep Grand Cherokee is available in ten different trims, and two trims are the special-edition 75th Anniversary Edition trims, and the two SRT Grand Cherokee trims are only available as four-wheel drive. 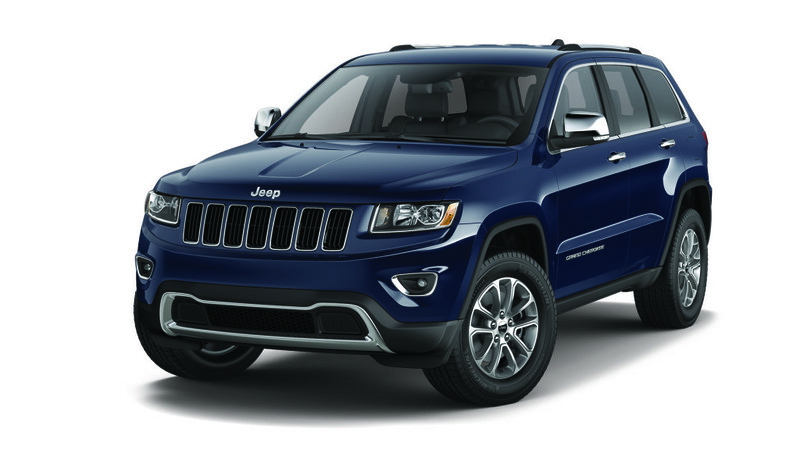 Among all of the trim options, the Jeep Grand Cherokee Limited is priced in the middle. When taking a look at the 2016 Grand Cherokee Limited, drivers will find either a gas or diesel engine under the hood, and both options are powerful. They both have their advantages, as the case always is when choosing between gasoline and diesel. The standard engine is a 3.6L V6 24-valve VVT engine with ESS. This V6 engine generates 295-horsepower with 260 lb-ft of torque. Variable Valve Timing (VVT) engines are usually designed to improve performance and fuel economy, and with Engine Stop-Start (ESS) technology. With ESS technology, fuel economy has been recorded to improve by 3%, putting the Grand Cherokee Limited’s fuel economy at 22 MPG in the city and 30 MPG on the highway.The Grand Cherokee Limited’s other engine option is the 3.0L V6 EcoDiesel engine. Like many EcoDiesel options, this engine has been designed to reduce CO2 emissions without losing performance. Engines powered by diesel are known for getting better mileage due to their ability to generate more torque at lower speeds. The horsepower goes down by quite a bit, coming in at 240-hp, but the torque is nearly doubled, clocking 420 lb-ft. The engine has an estimated fuel efficiency of 30 MPG on the highway. The 2016 Jeep Grand Cherokee has multiple features and technologies that increase a driver’s control of the Jeep when driving on different terrains. The standard transmission is an 8-speed paddle-shift automatic transmission. Paddle-shift transmissions were designed to combine the adored characteristics of manual transmissions, while making it easier for the driver to seamlessly switch between gears likened to automatic transmission.New electric power steering has been introduced into the 2016 Grand Cherokee model, with various drives modes for driver-customized steering response. In terms of driving modes for terrain, drivers can choose from five modes of driving in various conditions – sand, snow, mud, rock, and automatic. In addition, the Quadra-Lift air suspension system has been added to the Cherokee that allows drivers to raise the Jeep by 2.1” or lower it by 1” with the push of a button. Made with a new design, all trim levels of the 2016 Jeep Grand Cherokee have the look of both muscle and luxury from the outside. The rugged exterior is only matched by its refined interior, achieving a perfect balance between the two. The 2016 Grand Cherokee Limited seats up to five passengers with room to spare. As a reminder that this Grand Cherokee trim is a little on the luxurious side, it has leather-trimmed bucket seats, and both the front and second-row seats are heated. For convenience, the driver and passenger seats are 8-way adjustable and they have memory technology so they automatically conform to driver/passenger preferences.The rear seat is also a 60/40 split folding seat for additional cargo space. When folded down, there is 68.3 cubic feet available for storage. A large spoiler in the back increases the aerodynamics of the Grand Cherokee, and the power liftgate offers unparalleled convenience. A standard feature of the exterior is deep tint sunscreen glass to protect passengers from UV radiation and heat. Speaking of which, the exterior mirrors on the Grand Cherokee are heated to avoid fogging while on the road.There are several options when choosing the rims and tires for this Jeep. Standard, it rides on 18-inch polished aluminum wheels, but drivers have the choice of 20-inch aluminum wheels. As far as tires go, 265/60R18 BSW all-season LRR tires are the standard choice, but 265/50R20 are available for 20” rims. A compact spare tire comes with the Limited trim. As it should be, the 2016 Jeep Grand Cherokee model has kept up with the times in terms of technology, and the Grand Cherokee Limited trim does not shy away from this. Not only are the options nearly endless, but the features that come standard are enough to satisfy the average driver. Uconnect is all the rage right now, and is basically dominating the market when it comes to technology in the automotive industry. Uconnect 5.0 is the standard for the Grand Cherokee Limited trim, but that’s because of the 5.0-inch touchscreen display. The option to upgrade to Uconnect 8.4 (NAV is available, and that includes an 8.4-inch touchscreen.The standard sound system is lovely. It has 6-speakers and integrated voice command with Bluetooth. 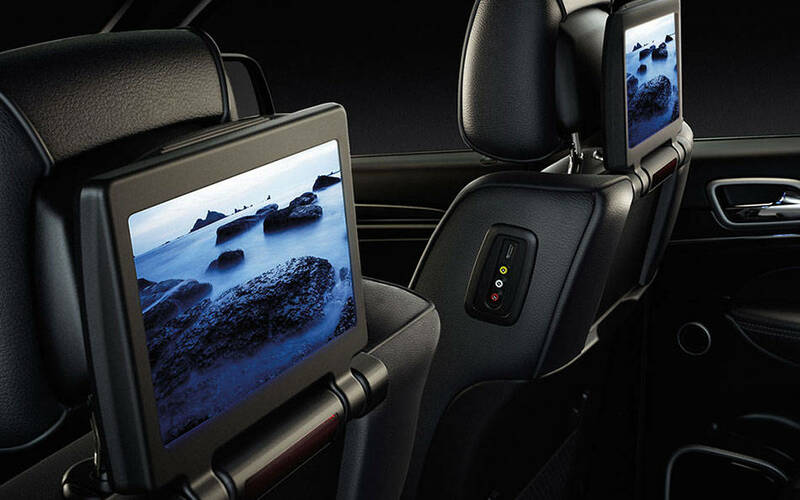 The option of installing 9-amplified speakers with a subwoofer is available, along with a Blu-Ray compatible and DVD entertainment system on the back of the front row for passengers in the second row. It’s a great way to keep kids occupied on long drives. Advanced multistage front airbags have become a standard for safety in many cars, along with driver knee airbags, LATCH ready child seat anchor systems, and supplemental side-curtain airbags in the front and rear.Possibly the best safety feature is the enhanced accident response system that unlocks the doors, turns off the engine, and turns on the interior lights in the instance of a collision.Other features, like ParkView Rear Back-Up cameras assist drivers when maneuvering out of tight spaces. Trailer sway damping also comes standard to help keep the trailer and vehicle under control.For convenience, the 2016 Grand Cherokee Limited comes standard with cruise control, keyless enter-n-go, remote keyless entry, and a remote start system. Additional security measures have also become standard in vehicles today, with systems such as sentry key theft deterrent that prevents vehicle theft by immobilizing an engine that has been activated without the correct ignition key. Where can you get a 2016 Jeep Grand Cherokee? Aventura Chrysler Jeep Dodge Ram has a large selection of new vehicles in inventory. We also have used cars and accept trade-ins. For a better look at what we have in store, give us a call or stop by our dealership today.